Warmer than normal temperatures are causing early pests in Memphis. Temperatures are warmer than normal in the Memphis area this spring. 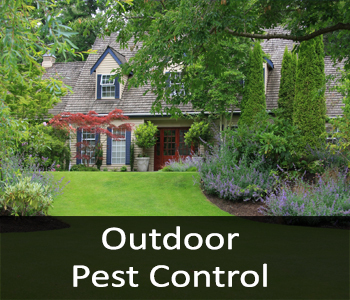 We are already seeing mosquitoes and other pests awakening from their dormant state. The best advice is to spray early and regularly. 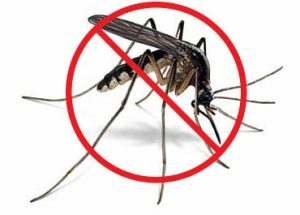 A mosquito spray includes covering the shrubs and turf as well as french drains and other areas where mosquitoes breed and hide. 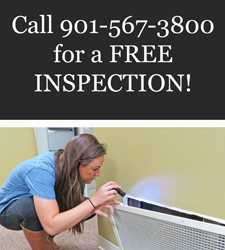 Our prices vary according to the amount of area we have to cover but we guarantee our prices are some of the best you will find in the Memphis area. Need a free analysis and estimate? Click this link and fill out the very brief form and we will contact you asap. Happy spring to you and we would love to be at your service to help you enjoy being outside this spring! 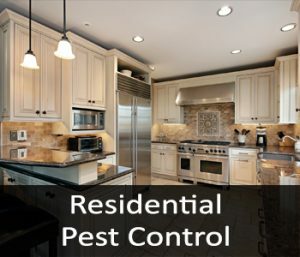 Affulent Homes, Do They Have Less Pest Problems? Bigger Homes Do Have More Bugs! In a survey of indoor arthropods, the most common house spider (arthropods) was a common and repeat tenant. Now, the scientists report that wealthier areas have a wider variety of arthropods. In wealthy neighborhoods, the houses have a varied palate … of spiders and flies. The interiors of these homes are populated by a more diverse array of arthropods than those in less prosperous neighborhoods, a new study indicates. The explanation for this abundance actually lies in the exterior of the home. Typically, nicer neighborhoods are also richer in species. Scientists have discovered this “luxury effect” before, in plants and outdoor animals such as lizards, bats and birds. For plants, the connection is very direct; affluent tenants have more funds to direct to landscaping, or live in lusher communities. In turn, a diverse collection of plants offers more food and habitats for animals. Previously, the team explored 50 houses in and around Raleigh, North Carolina, and determined that more than 100 arthropod species dwell within the average home (most of these tiny occupants aren’t pests). Using data from this “arthropods of the great indoors” survey, the scientists have now investigated how landscaping and socioeconomic status can affect indoor bug diversity. “There is a general perception that homes in poorer neighborhoods are refuge to more indoor arthropods,” the team wrote August 2 in Biology Letters. Their work indicates that this perception is off-base. Most arthropods that show up inside are actually outdoor species that made their way in by accident. The majority of indoor arthropods were flies, spiders, beetles and ants, although the scientists also unearthed some more human-dependent critters such as dust mites. 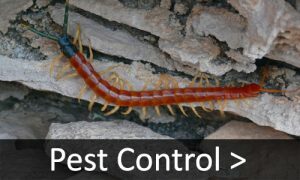 Houses in neighborhoods with an average annual income of about $33,000 had denizens from about 74 arthropod families. In neighborhoods with an average yearly income of about $176,000, a given house was likely to carry arthropods from 105 families. The entomologists expected to find more types of arthropods in big houses with more surrounding plant cover and diversity. But in affluent neighborhoods, even houses with sparse vegetation carried a wide variety of arthropod families; simply being near other, more verdant homes gave them a boost. Though intriguing, the survey doesn’t represent bug diversity everywhere; the scientists only sampled freestanding houses in one city. But it does show how connected the interiors of our homes are to the world outside. “The management of neighborhoods and cities can have effects on biodiversity that can extend from trees and birds all the way to the arthropod life in bedrooms and basements,” the team concluded. 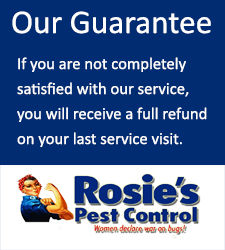 If worries about insects living inside your home have you down, contact Rosie’s Pest Control for a free evaluation of your needs. While a lot of trees carry microscopic insects, most of them are harmless. Some Saw flies may hatch from their cocoons when they get moved inside. Saw Flies have a short lifespan so this is not too much of a threat. Preying mantis pests can also hatch out in large numbers. Bark Beetles can be embedded in the trunk of the tree as well. Most of these pests don’t pose much of a risk, just a nuisance. Vacuum up these critters and their cocoons when visible. 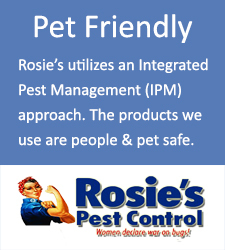 Happy Holidays from Rosie’s Pest Control! Bees are dying off at an unprecedented rate. Some report that our country is losing 30% of it’s hives each year. At first, no one knew why. 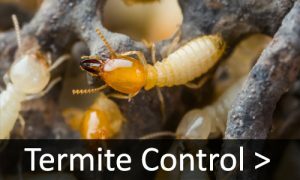 In the last few years scientists have complied compelling evidence that points to a class of insecticides called neonicotinoids. These chemicals are widely used in commercial agriculture but can have lethal effects on bees. Some other farming pesticides are also adding to the toll. So are invasive parasites and an overall decline in the quality of bees’ diets. It’s clear that the combination of factors poses a pretty serious problem for anyone who likes to eat, since bees—both the domesticated kind and their wild bumblebee cousins, both of which are in decline—are the main pollinators of most major fruit and nut crops. The problem is so severe that this spring President Obama released the first-ever national strategy for protecting the health and life of bees and other key pollinators. 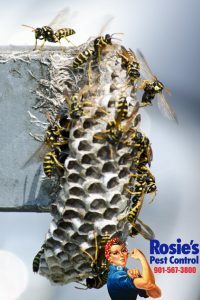 Rosie’s Pest Control is committed to doing our part to help save the bees. When we get a call about an annoying and threatening bee colony, we take every effort to relocate the bee hive. We have been working with David Glover from the Bartlett Bee Whisperer to save this vital species. Fall is the most common season for roof rats due to their outdoor food source being reduced. Even when our region is experiencing warmer than normal temperatures, natural food sources are drying up. 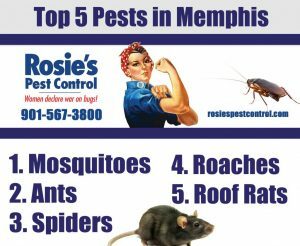 Memphis is ranked number 1 for infestations from this invasive species. They are much easier to distinguish from some of their rodent relatives because of their long and scaly tails. 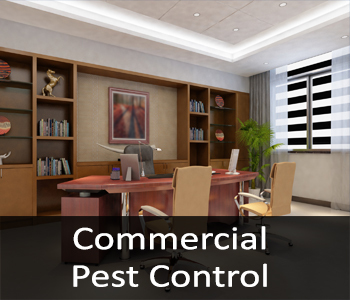 According to Andy Long, director of Rosie’s Pest Control, roof rats usually stay out of plain sight but even one spotted is very often times a sign of a serious infestation. Long also said they are usually active at night and often leave smudge marks as result of dirt and oil. You can also find evidence in droppings around active areas. 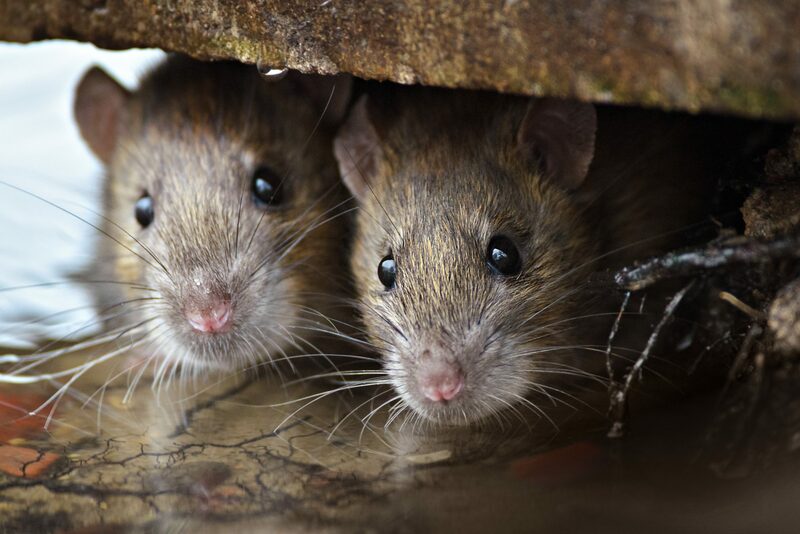 Roof rats may enter buildings and structures via holes, soffit vents, cables entering buildings and turbine and box vents on roofs. Inspections by a professional can help identify these entry points so needed repairs and preventative maintenance can be done. 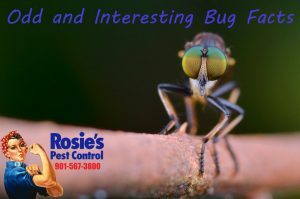 Contact Andy Long or Katie Fox with Rosie’s to get your free home or business inspection before the weather gets any cooler.